Exploring uncharted territory in the car scene is always worth noting. 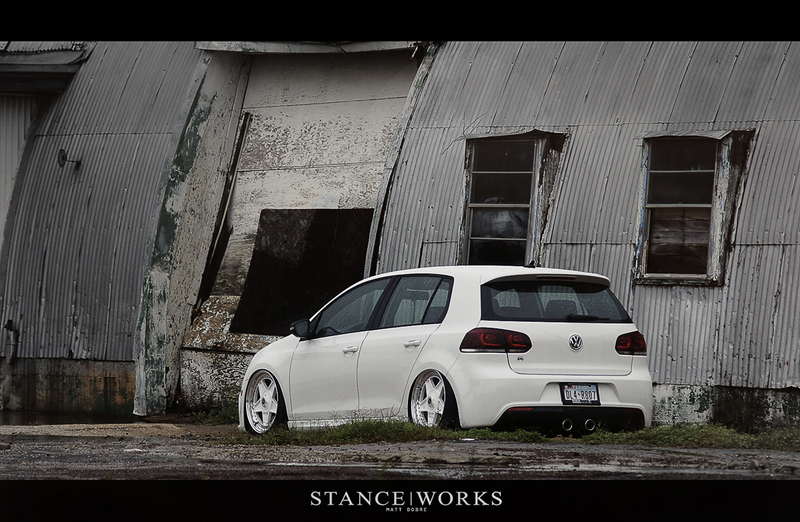 While bagging Volkswagens isn't necessarily uncharted territory, for Joshua McDowell, bagging his MKVI R proved to be a new adventure. 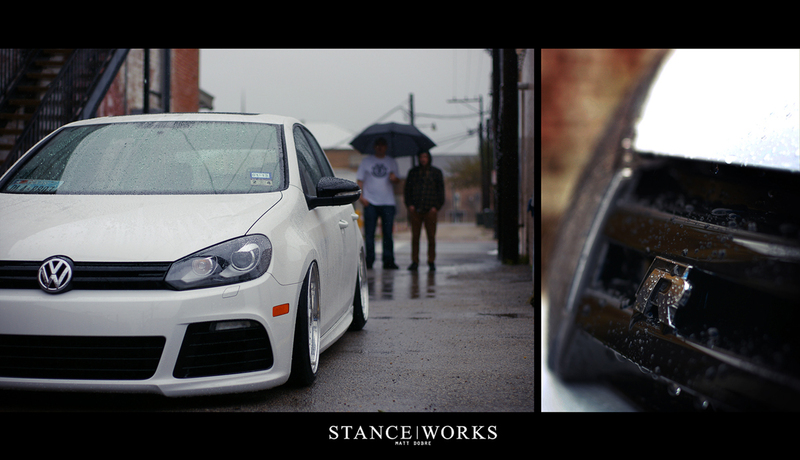 Joshua's white MKVI follows in the path of his previous car, a white MKV. His previous car was clean and well done, but this time around he wanted to take things a step further. 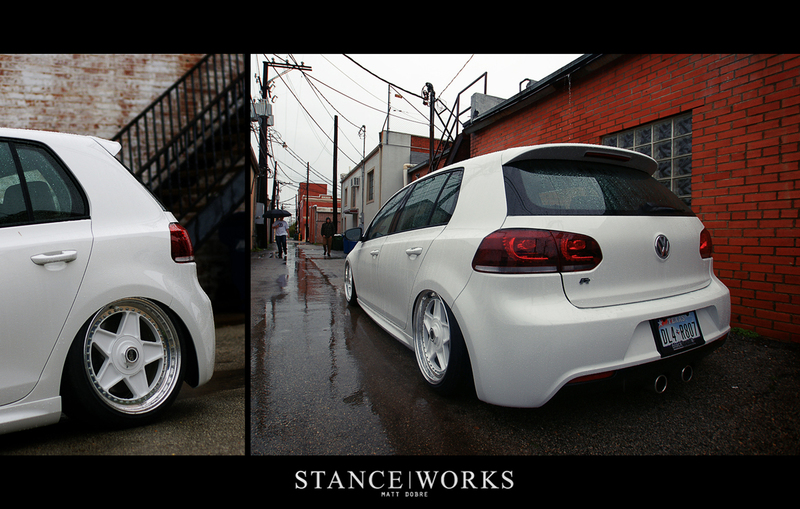 Instead of TSWs, he went with a custom set of Image Wheels with an 18x9 square setup. 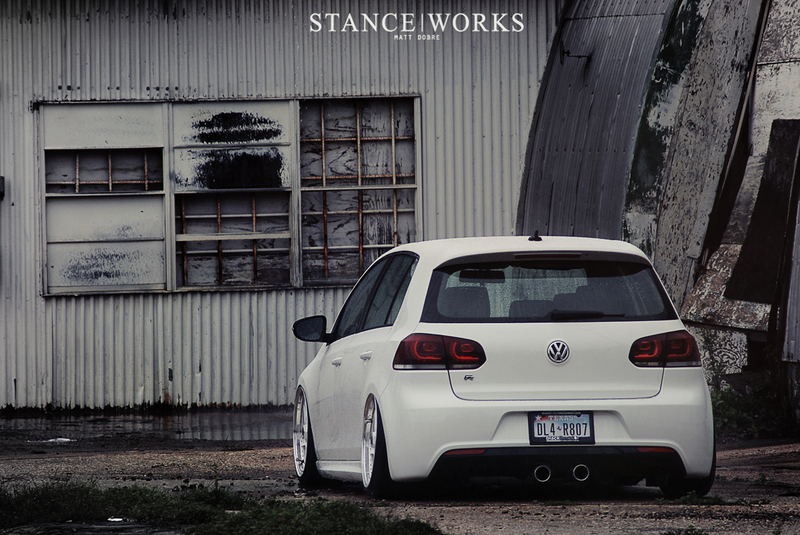 Painted white to match the car, it's a nice take on a tried and true color combination. 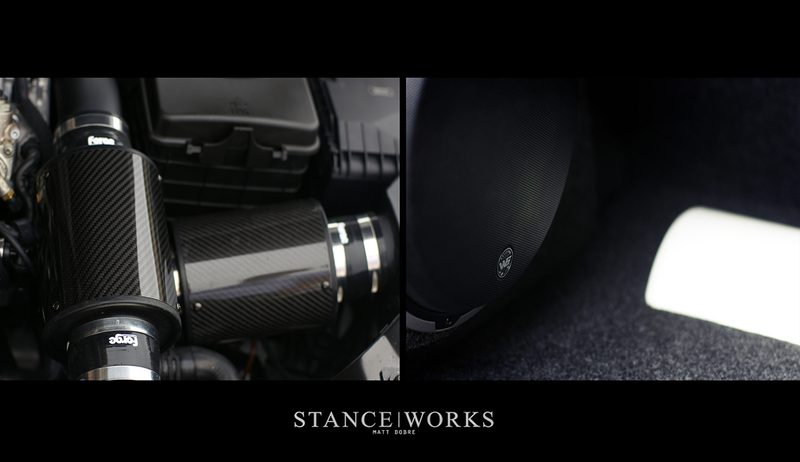 The retro-style wheels also help put down the power of the R, which Joshua estimates to be at around the 340hp figure after the APR Stage 1 setup, Forge "twintake", and associated goodies. All of that, however, isnt't where Joshua's build took it's own path. Joshua is the kind of guy who builds his cars for himself. He's a show-goer and part of the community, with with a wife and kid on the way, he's more interested in building a car that suits his interests, not so much the rest of the internet's. When it came time to bag the car, however, some hurdles stood between him and the pavement. While the parts to bag the car existed, the Golf R has only been available since the beginning of the year. With no other cars to base his off of, and no info out there to help his build, he enlisted the help of Pat at Pat's Paint Werks to get the job done. It was a trial-and-error affair, but the results were well worth the guesswork. Initially provided by Dorbitz, the front struts are Bagyard Bombers and the rears are BagYard Classics. The RideTech management keeps the car where he wants it, and his dual Viair compressors ensure his changes can happen on demand. The air build and install happened over a hasty two days, impressive in the scope of things. Joshua hopes to get the front end a bit lower, but is pleased with the results so far. All-in-all, we're pleased to see Josh getting his hands dirty (or not so dirty) on his brand new car, and not letting a lack of guidelines hold him back.